Głos J. Kiepury w nowych obrazach zdobywa poklask. The voice of J. Kiepura in the new pictures gains applause. 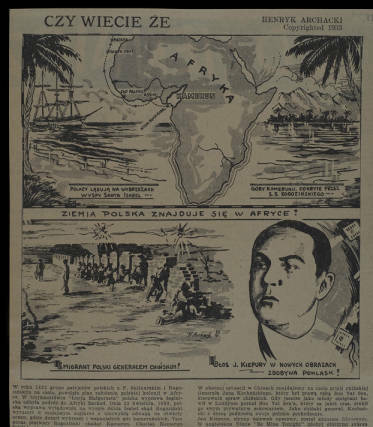 Archacki, Henry, 1907-1998, “Map of Africa,” Digital Collections - University at Buffalo Libraries, accessed April 22, 2019, https://digital.lib.buffalo.edu/items/show/4063.